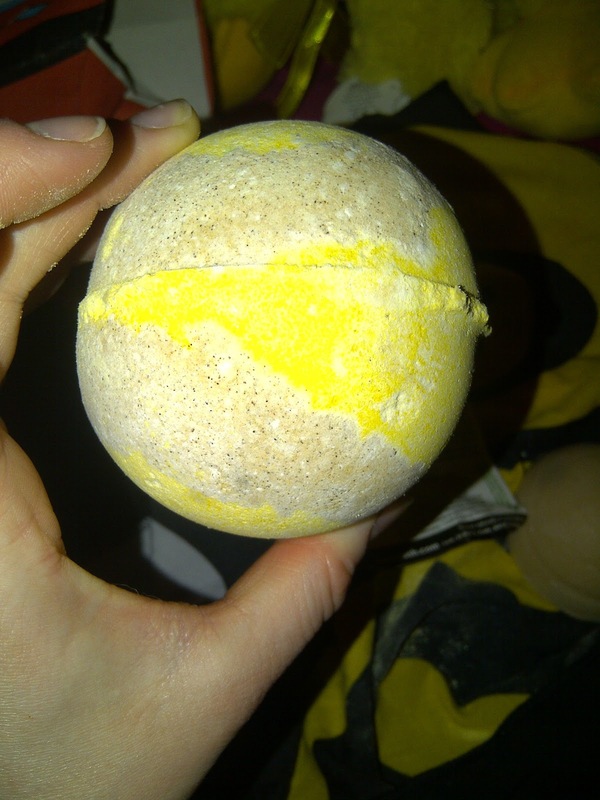 Beauty: Lush – Mr Bumble! They come wrapped up in this cute little cloth that you can see below in the pictures. 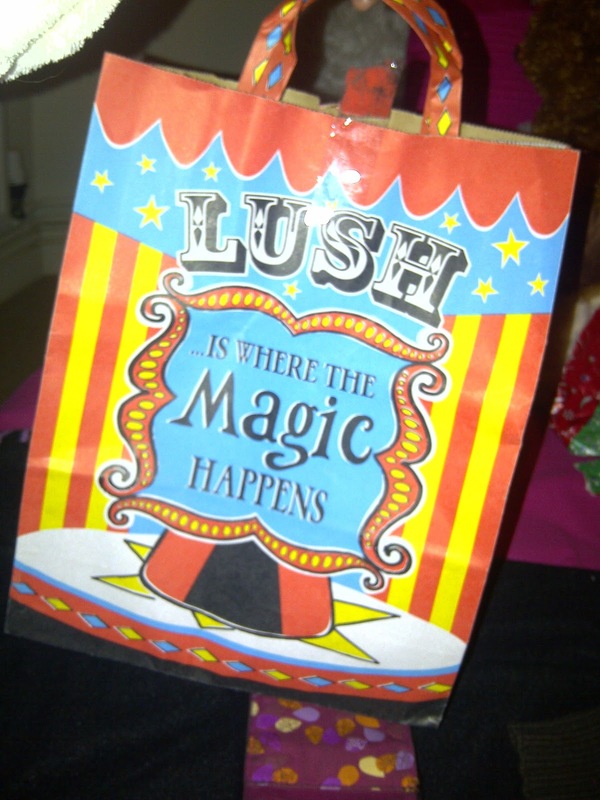 and i LOVE Lush products. They are made with natural ingredients so they do not irritate my skin. It has Honey Water in it, Coconut Oil and Sweet Wild Orange Oil. It also has Aloe Vera extract too. 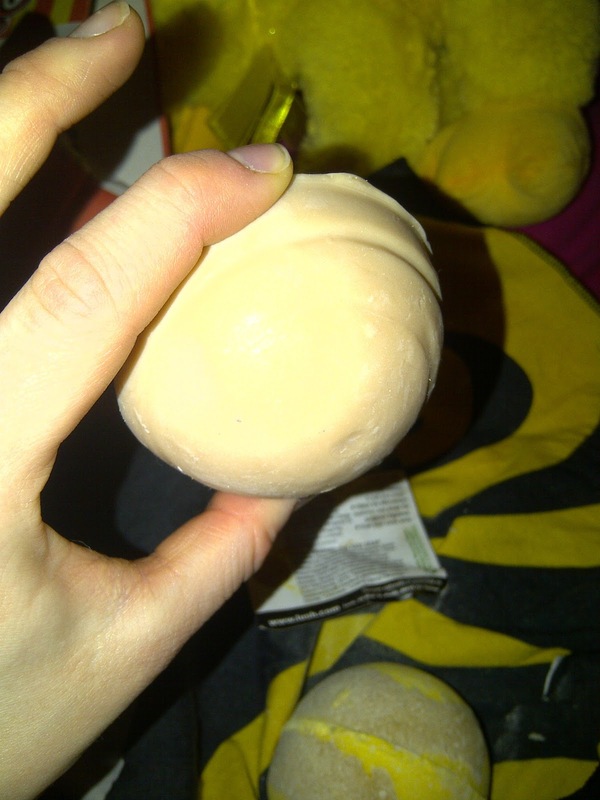 The one below is called Honey Bee Bath Ballistic. It has Honey in it and Aloe Vera extract, organic Aloe Vera Gel and Sweet Wild Orange oil.